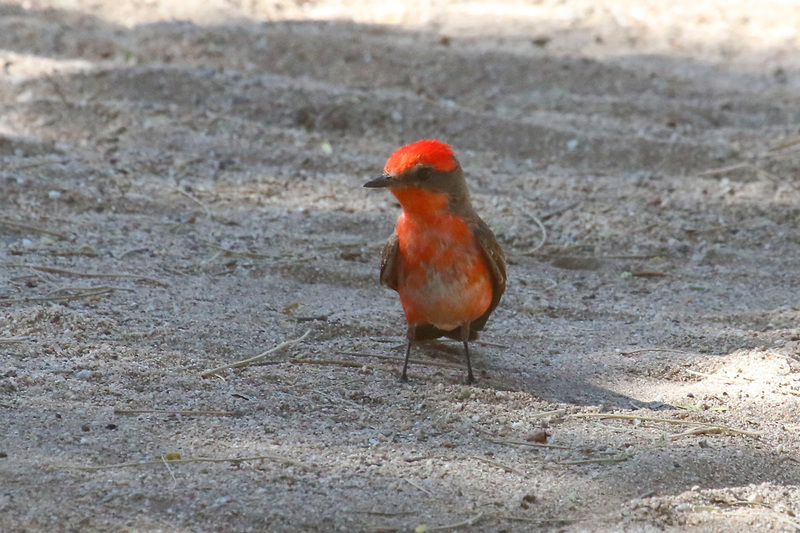 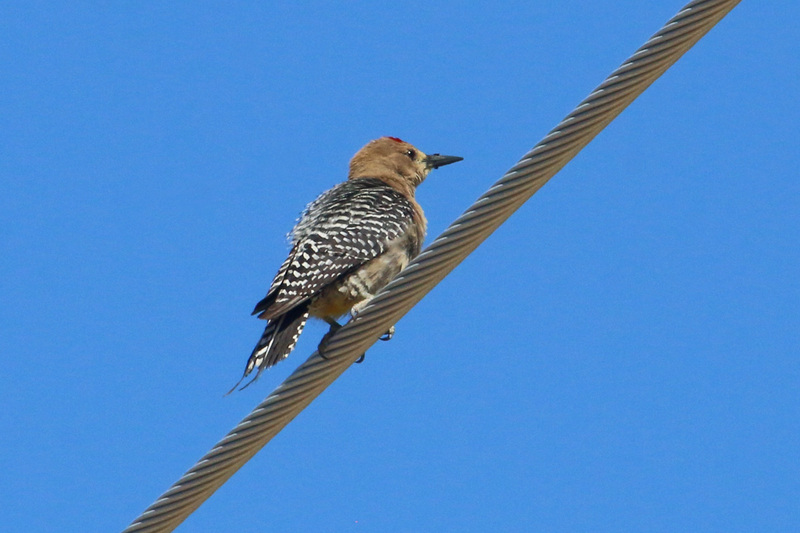 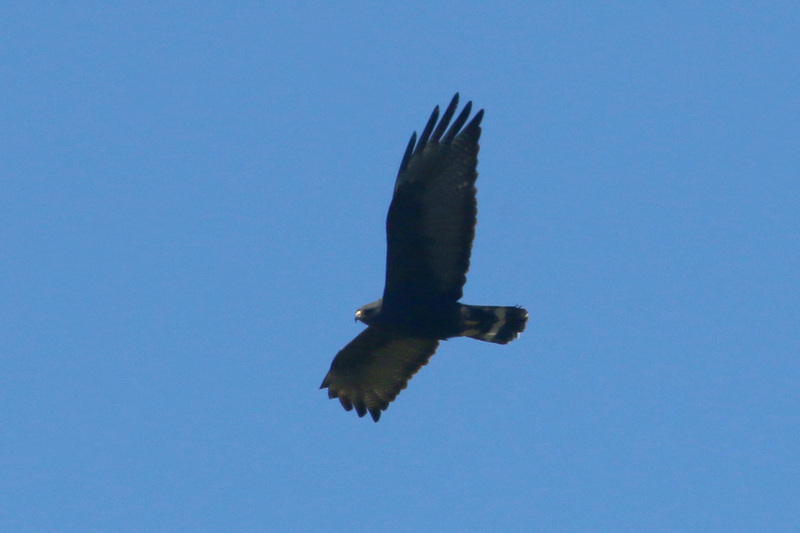 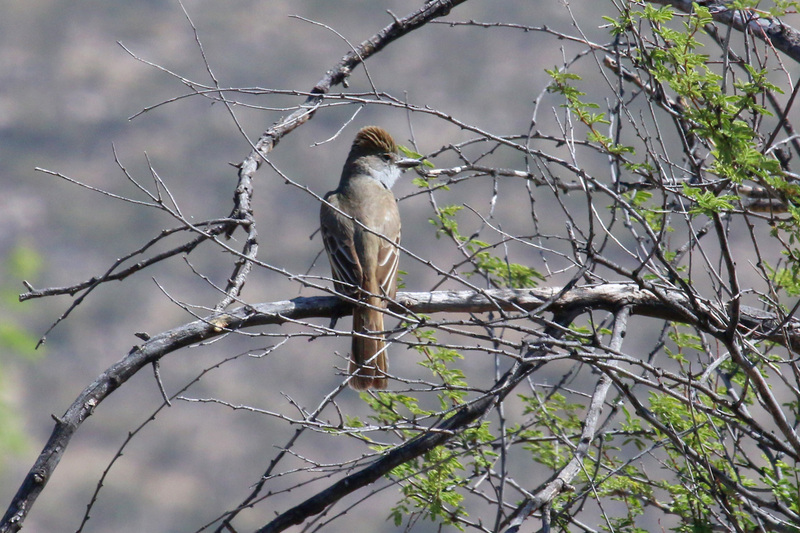 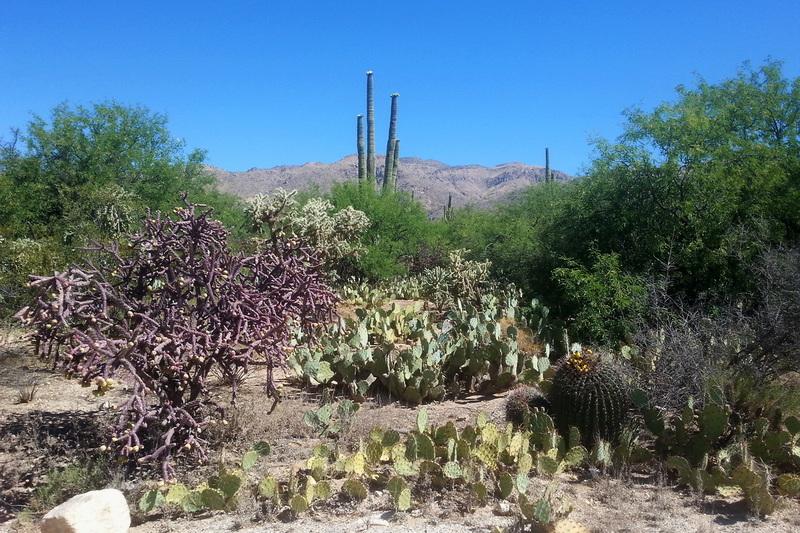 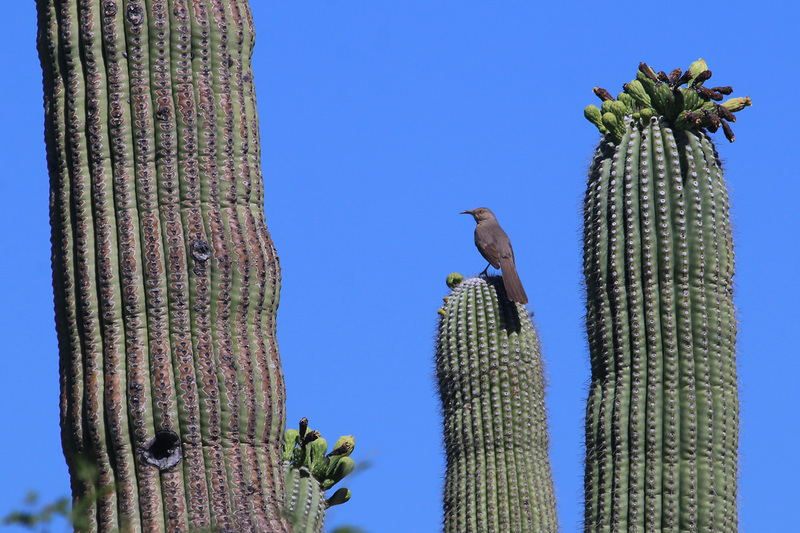 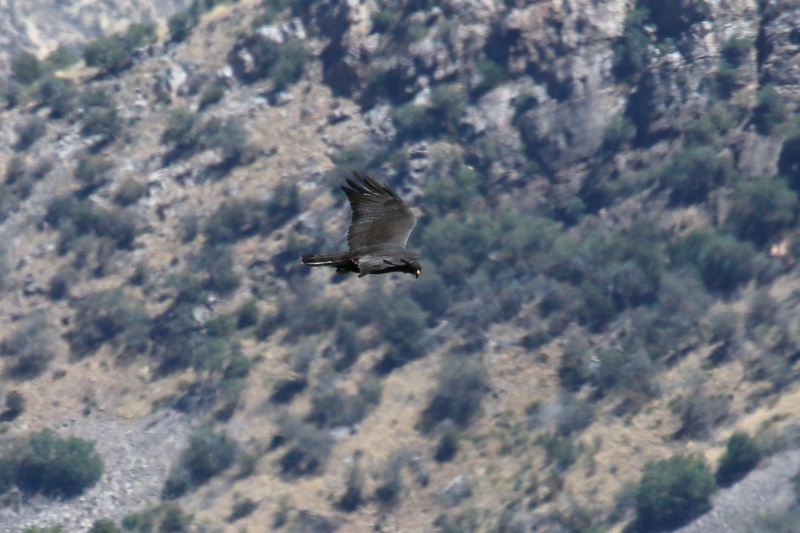 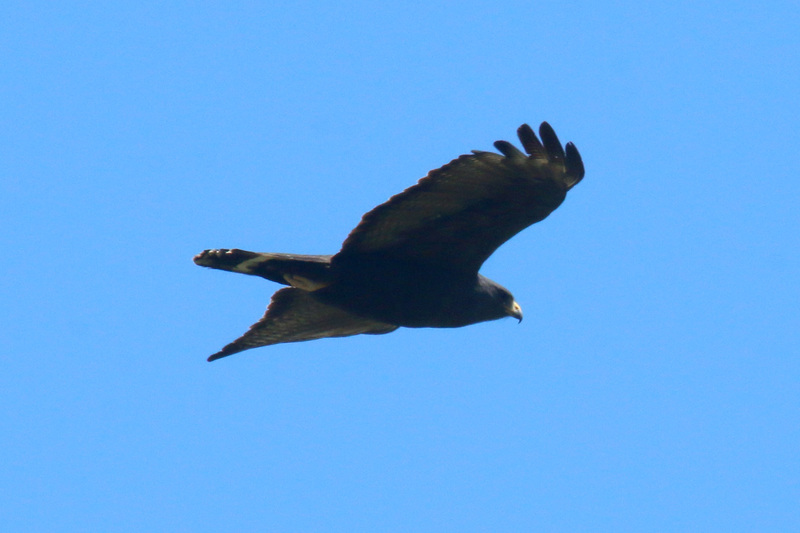 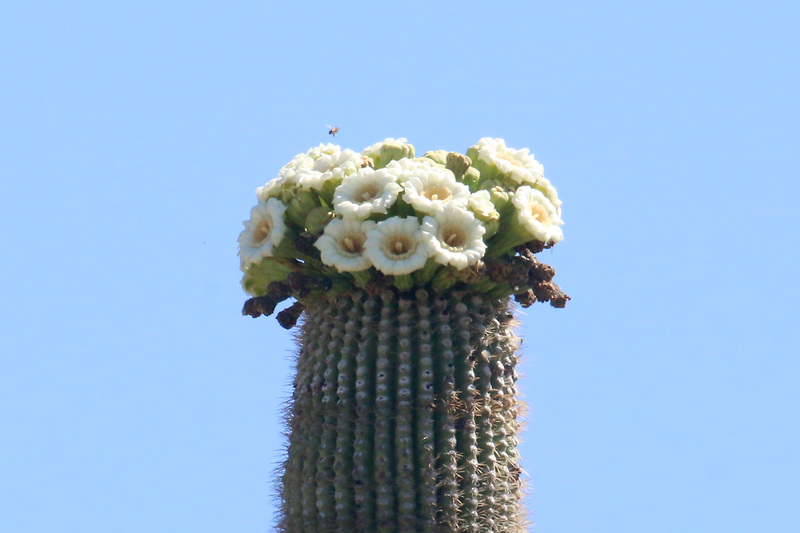 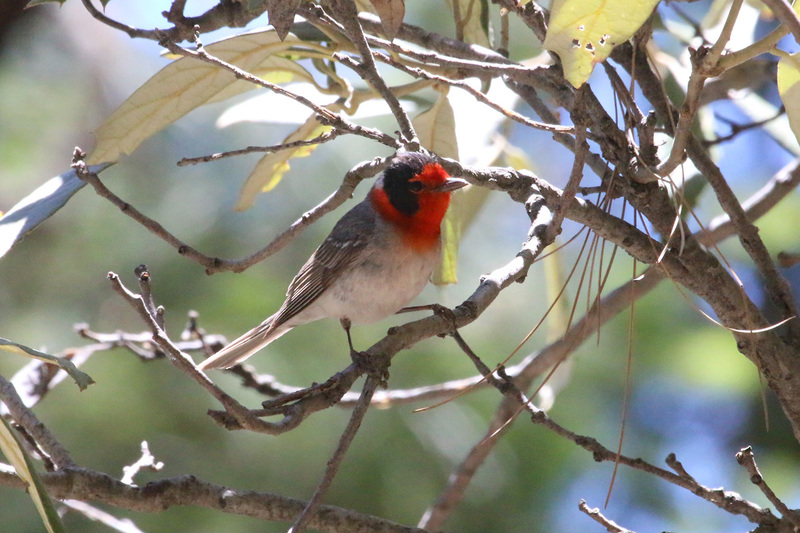 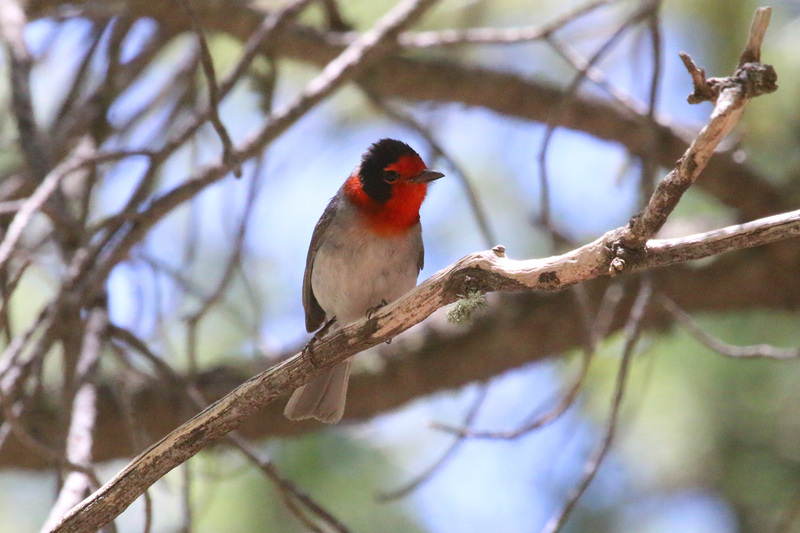 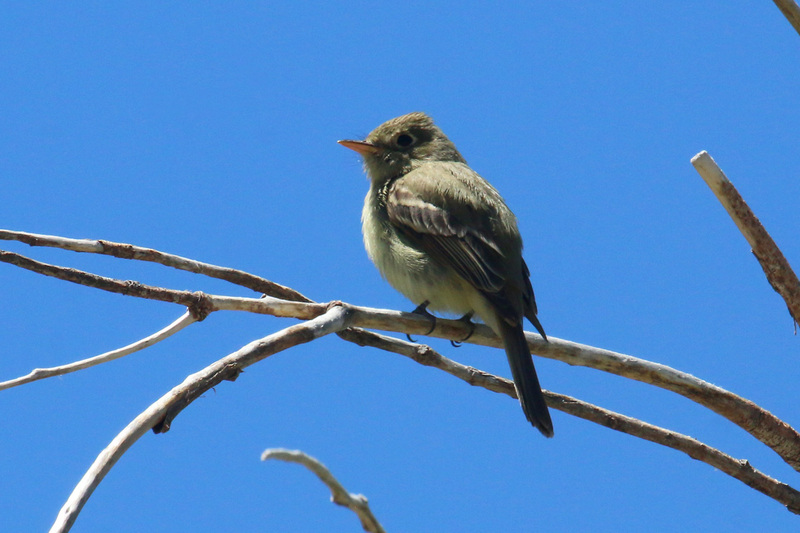 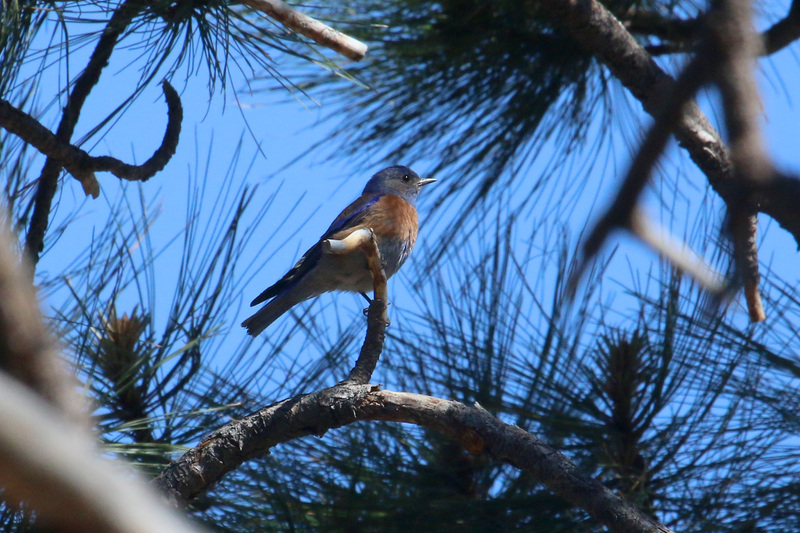 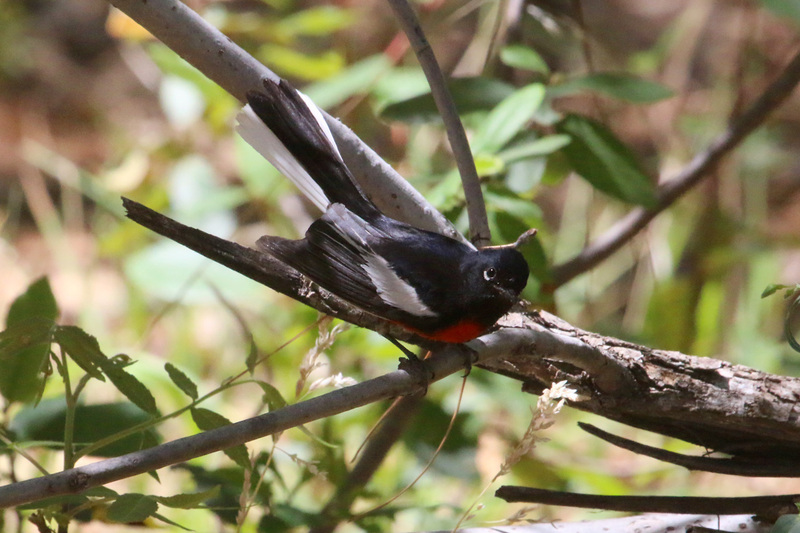 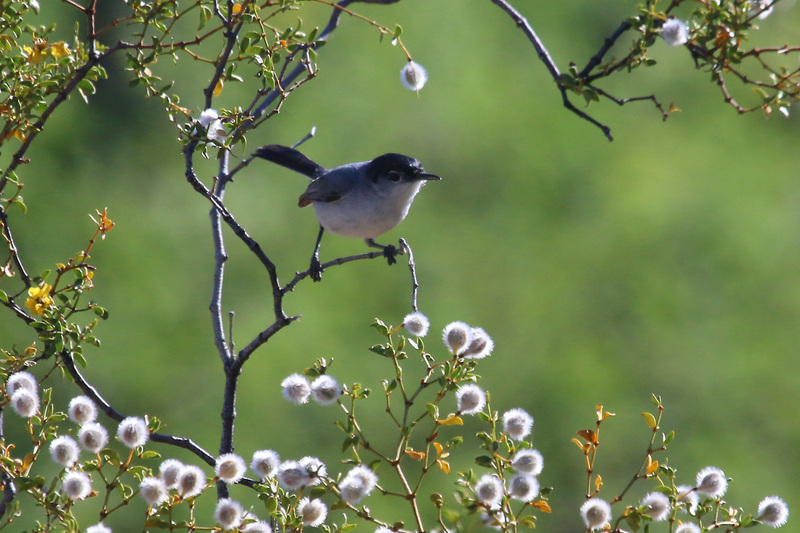 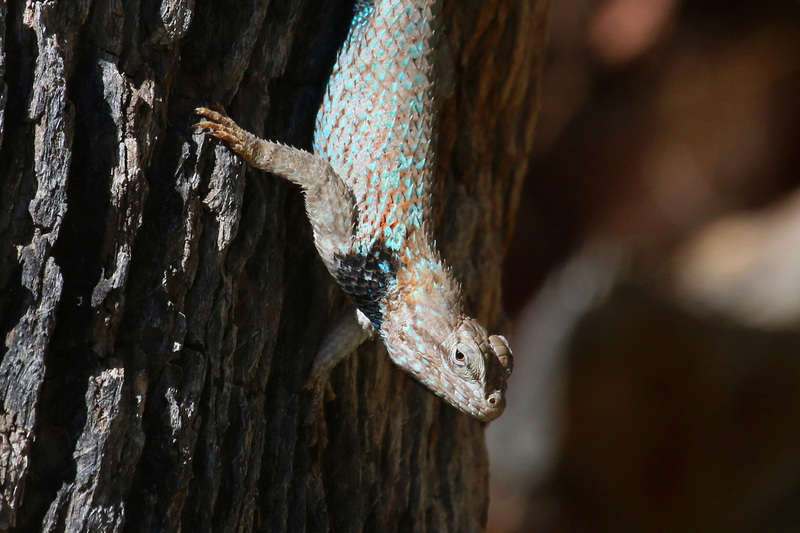 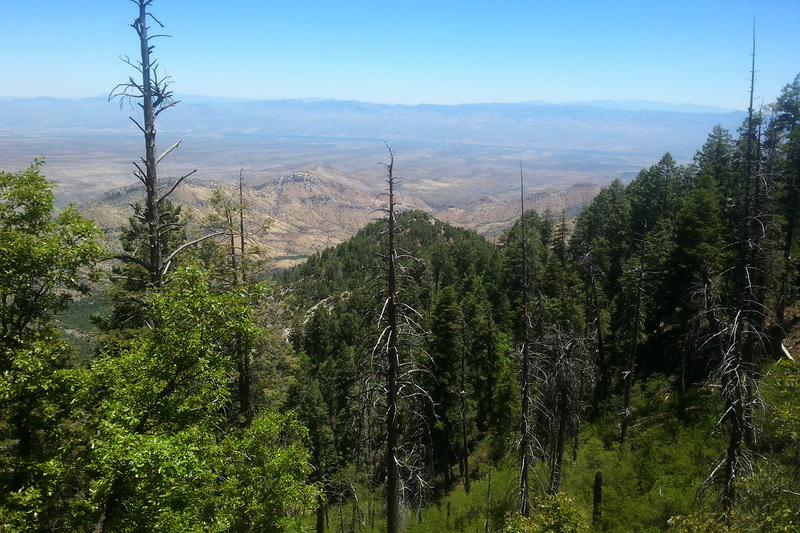 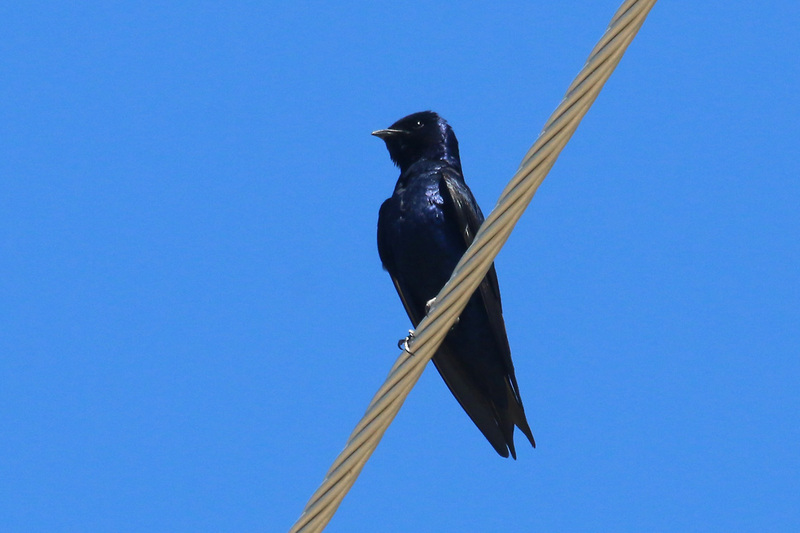 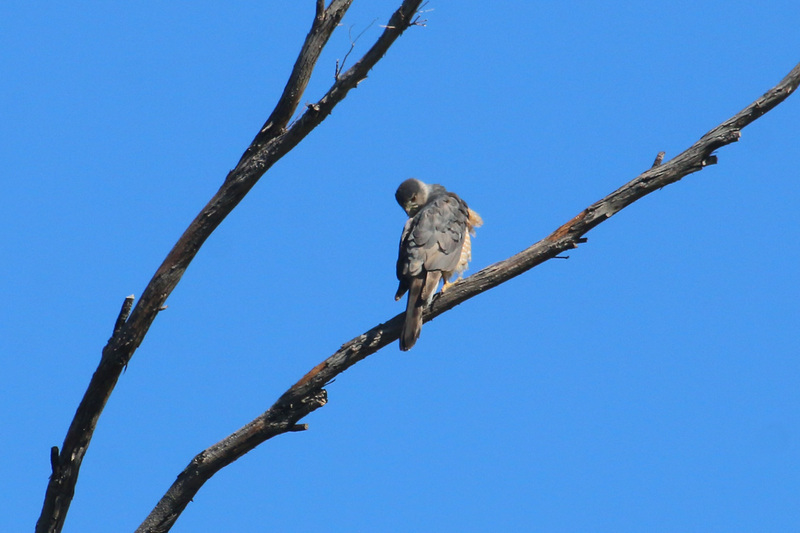 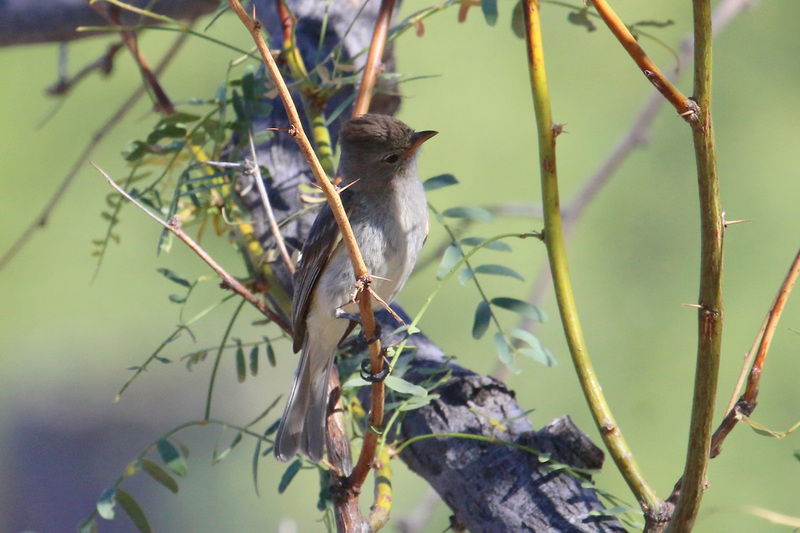 A very pleasant day of all-round birding in the Tucson area, at Agua Caliente Park and Mt Lemmon. 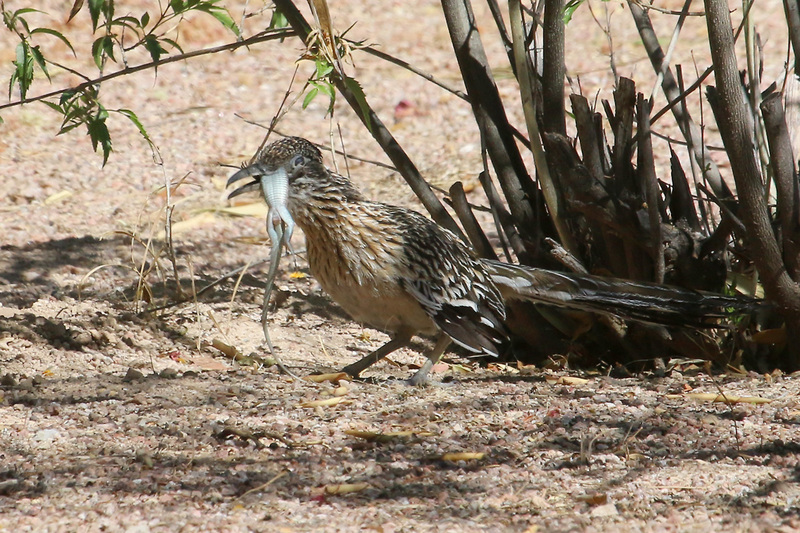 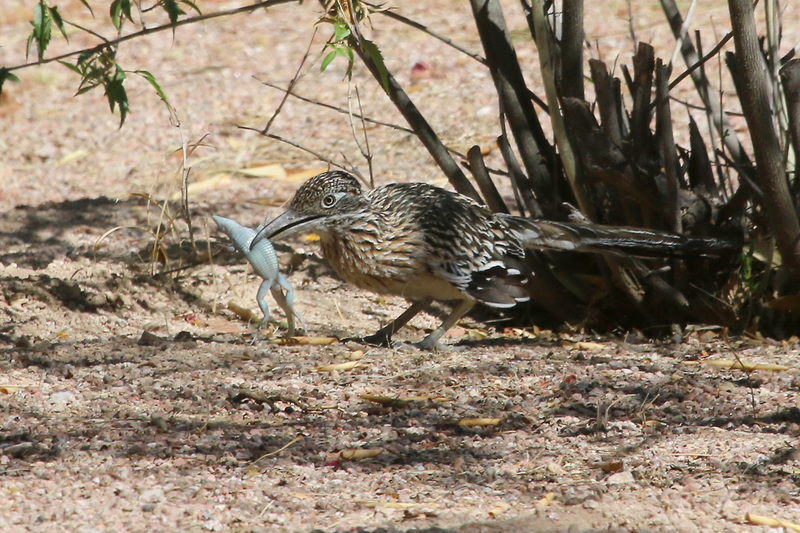 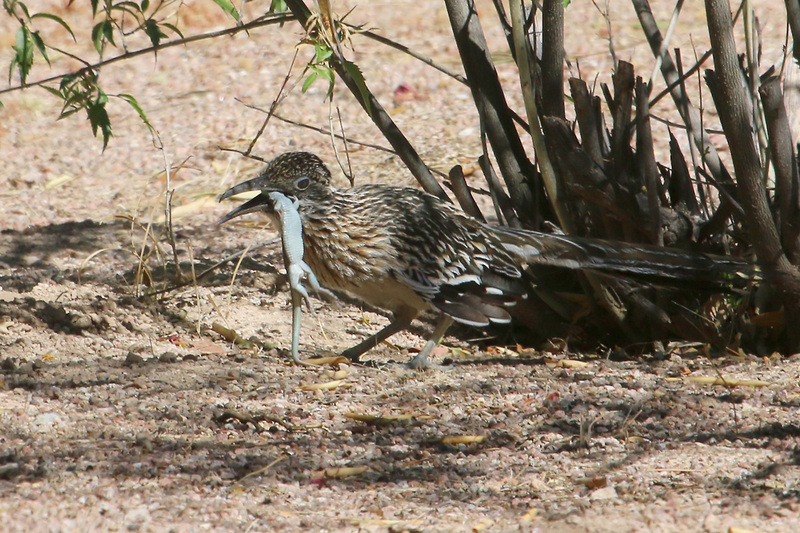 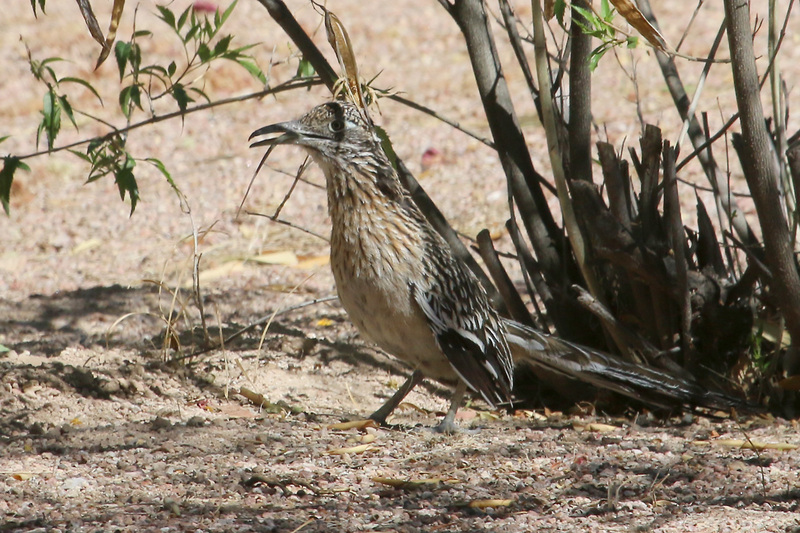 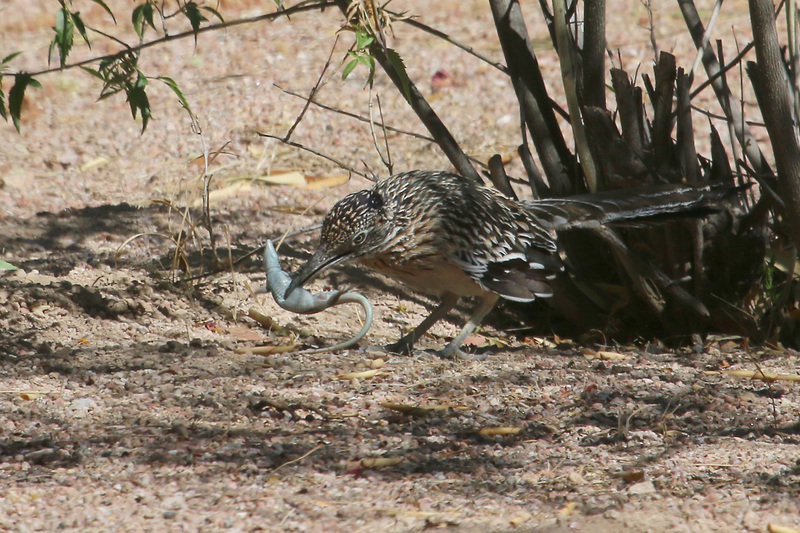 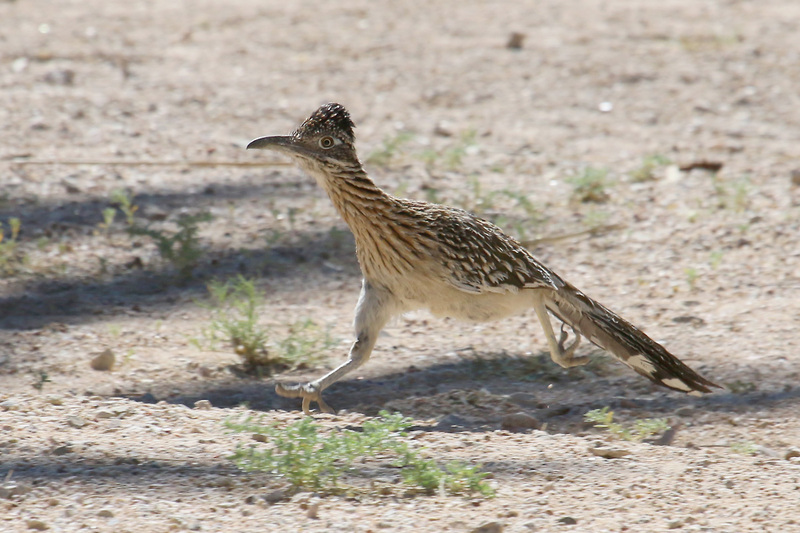 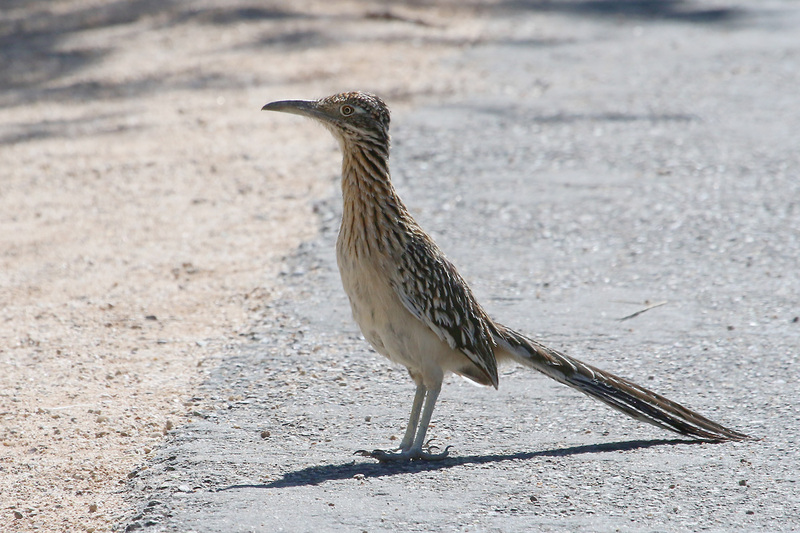 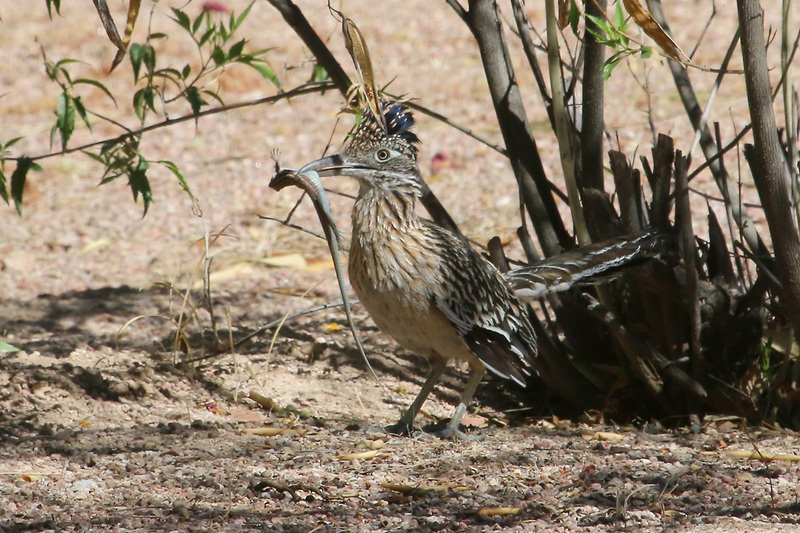 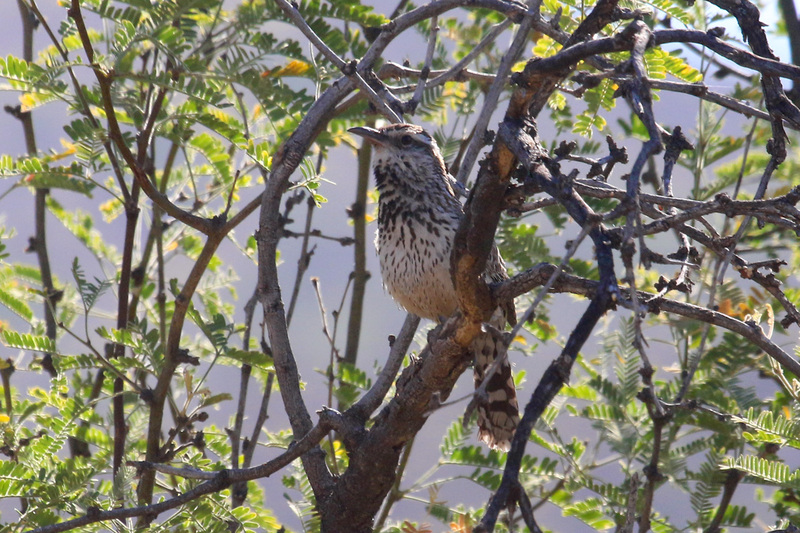 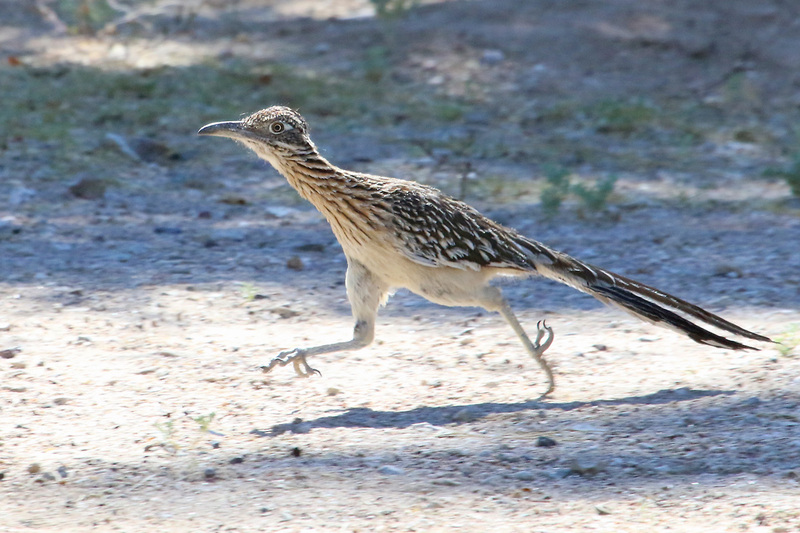 We had classic views of a GREATER ROADRUNNER, belting past us at high speed in pursuit of an unfortunate whiptail lizard, which it caught, killed and ate in a few seconds with clinical precision. 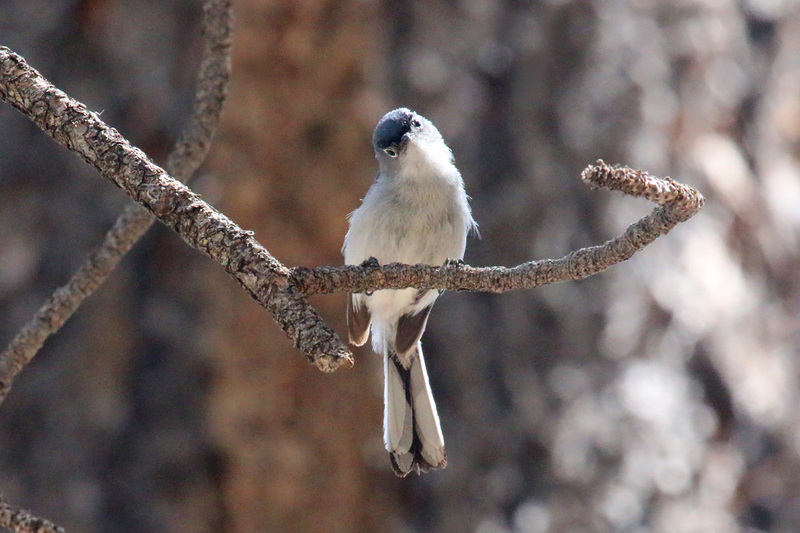 The park and environs were very birdy early morning before the temperatures soared. 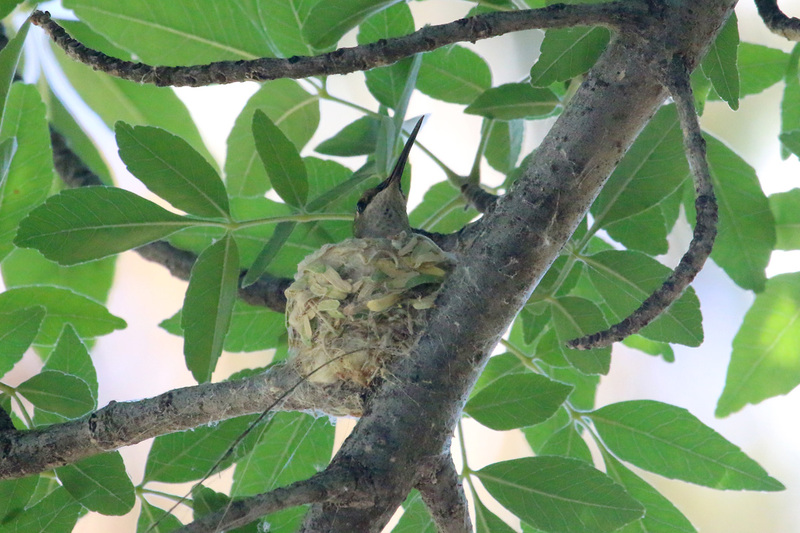 We found a female BLACK-CHINNED HUMMINGBIRD on a nest, as well as ANNA’S and BROAD-BILLED HUMMINGBIRDS, NORTHERN BEARDLESS-TYRANNULET, VERMILION and BROWN-CRESTED FLYCATCHERS, ‘DESERT’ PURPLE MARTIN, BLACK-TAILED GNATCATCHER, LUCY’S WARBLER, RUFOUS-WINGED SPARROW, BRONZED COWBIRD, and HOODED and BULLOCK’S ORIOLES. 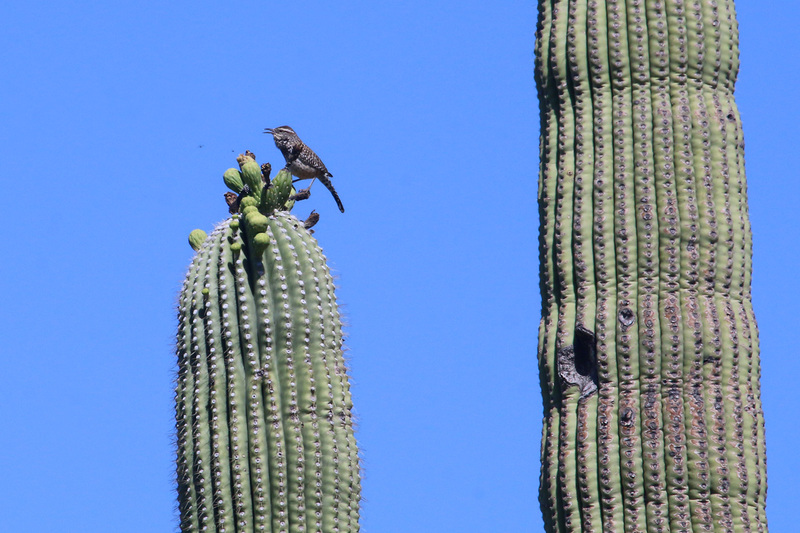 A brief stop to see if VARIED BUNTINGS had returned to this regular spot produced a singing male, but he stayed on the opposite slope and never came into view. 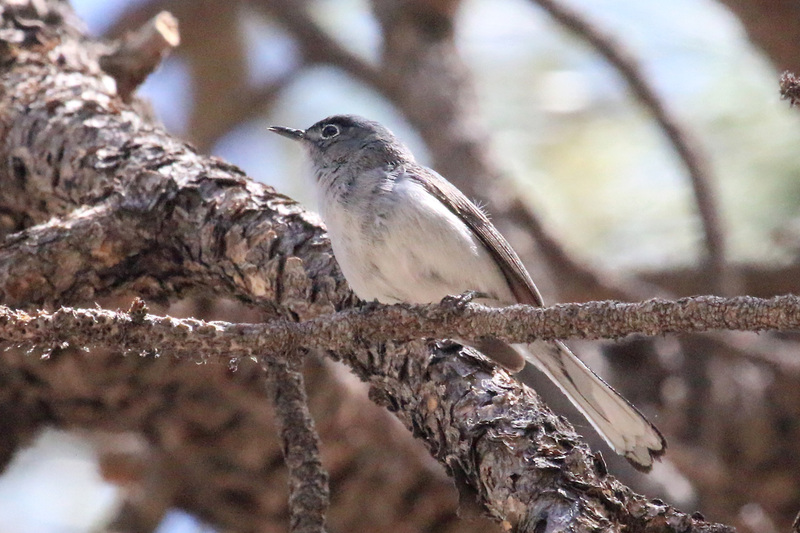 More good birding, with WHITE-BREASTED and PYGMY NUTHATCHES, BLUE-GRAY GNATCATCHER, PLUMBEOUS VIREO, GRACE’S WARBLER, PAINTED REDSTART, and YELLOW-EYED JUNCO. 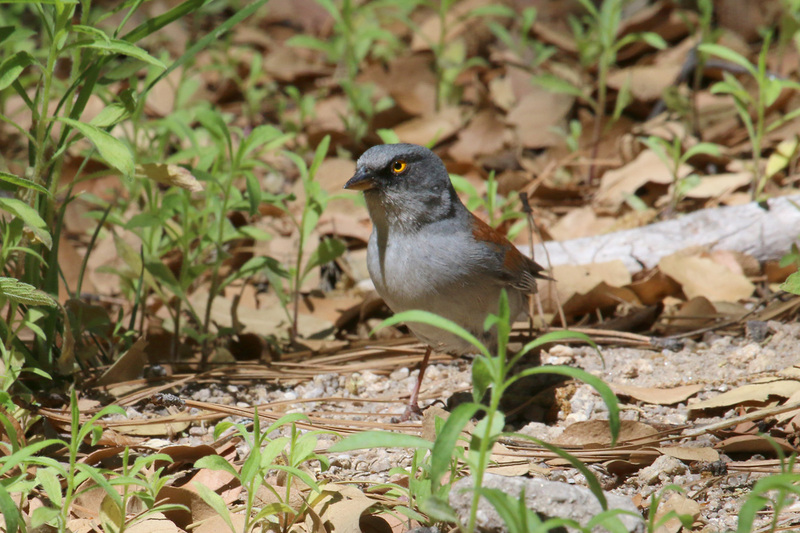 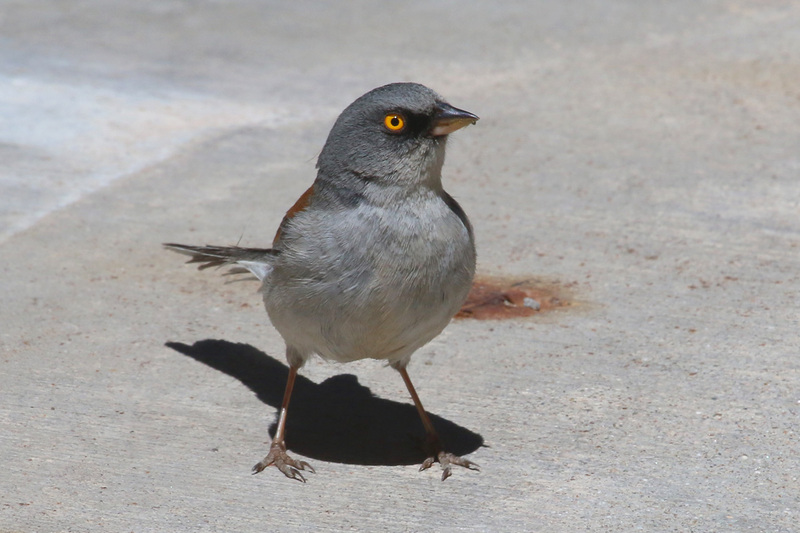 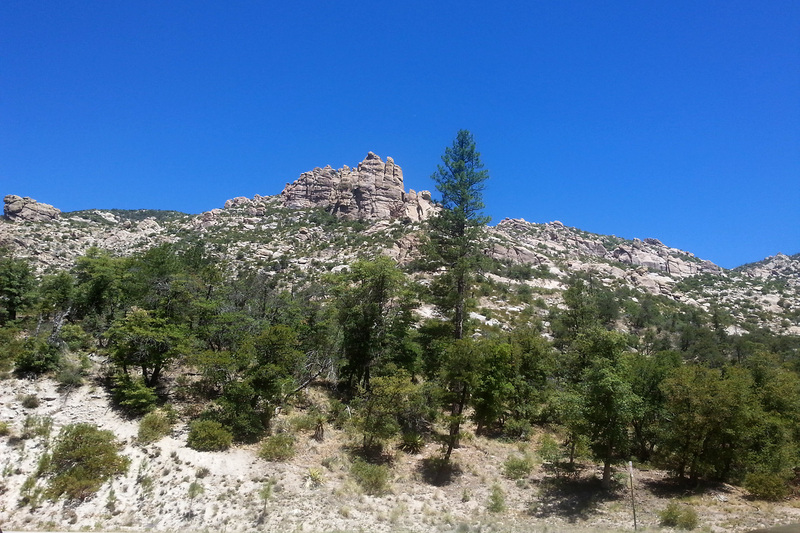 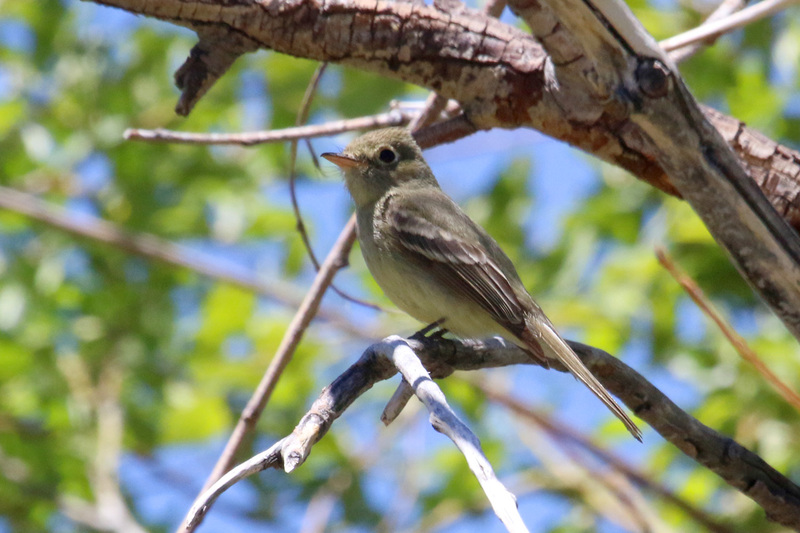 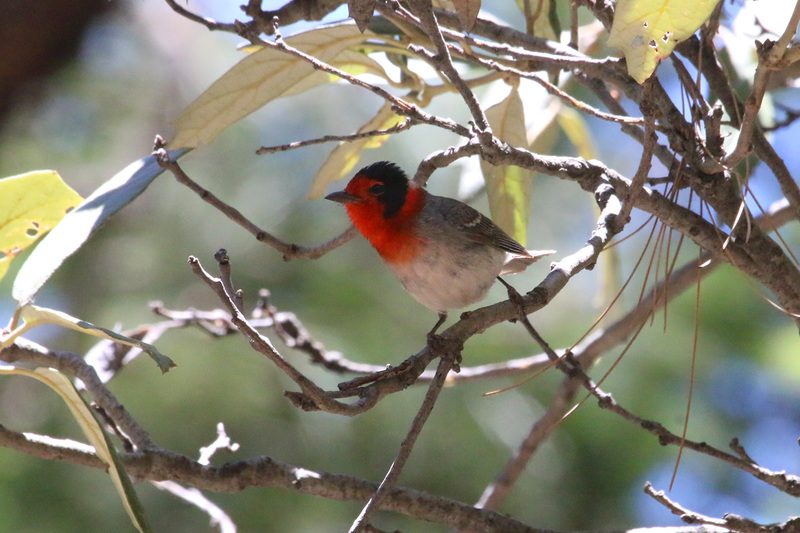 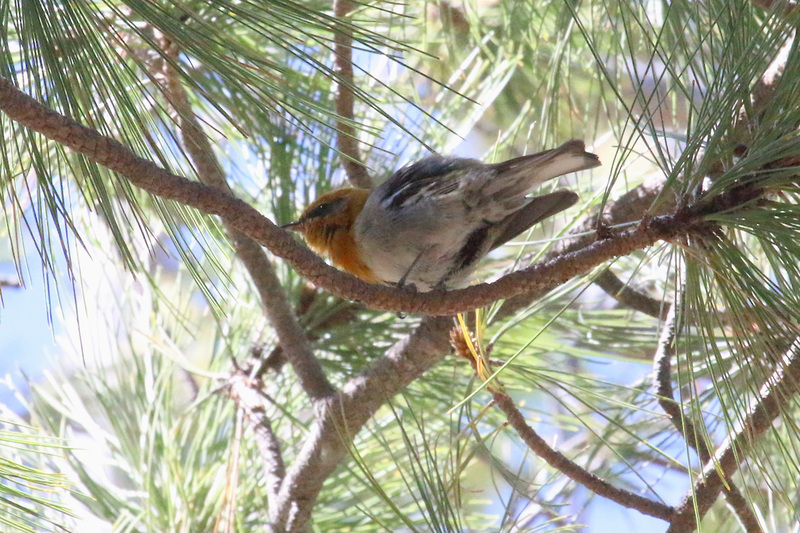 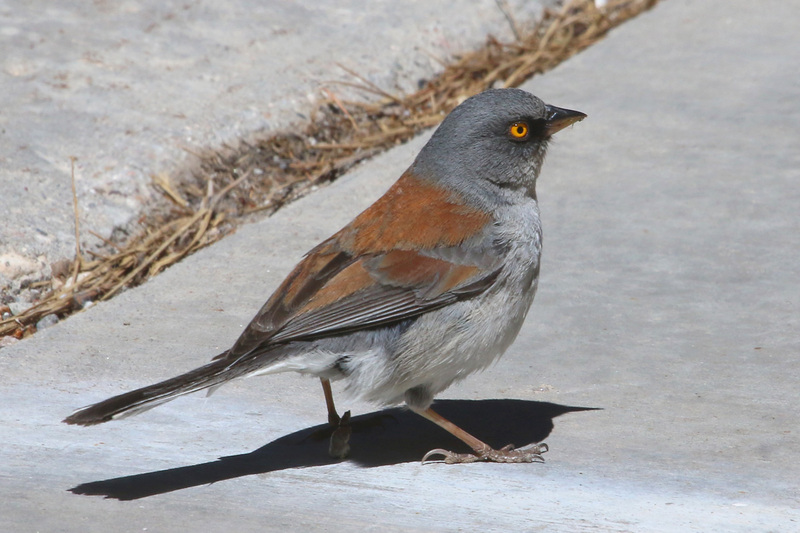 The list continued to grow with high elevation species such as ZONE-TAILED HAWK, CORDILLERAN FLYCATCHER, VIRGINIA’S, ‘AUDUBON’S’ YELLOW-RUMPED, BLACK-THROATED GRAY, and RED-FACED WARBLERS, YELLOW-EYED JUNCO, WESTERN TANAGER, and PINE SISKIN. 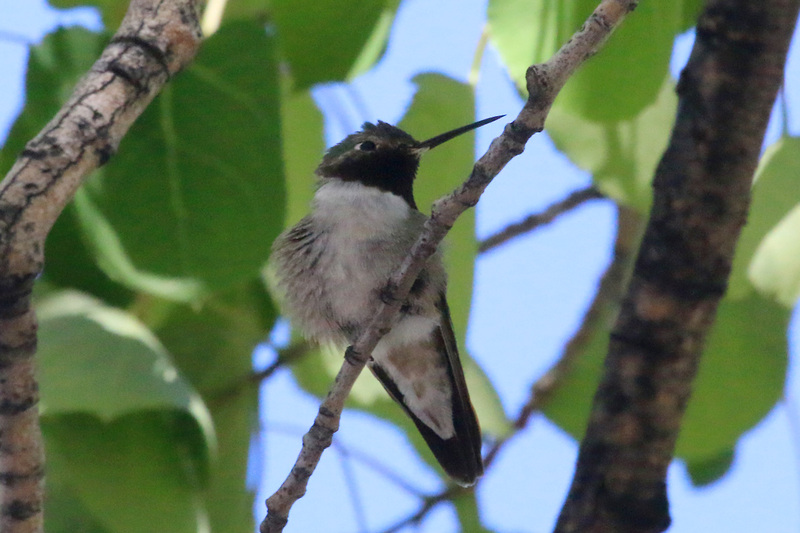 The observatory was closed today so we had to be content with slightly more distant views of the male BLUE-THROATED HUMMINGBIRD through the chain-link fence. 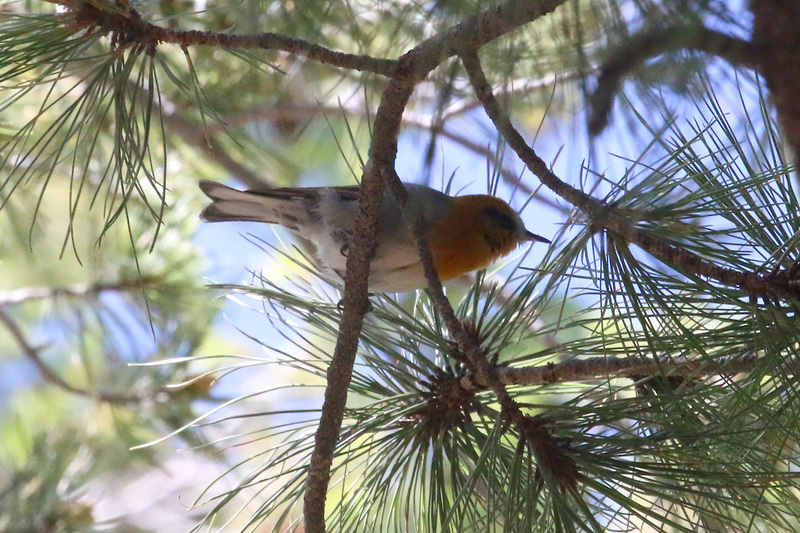 Also here, CORDILLERAN FLYCATCHER, BROWN CREEPER, BLUE-GRAY GNATCATCHER, VIRGINIA’S WARBLER, and WESTERN TANAGER. 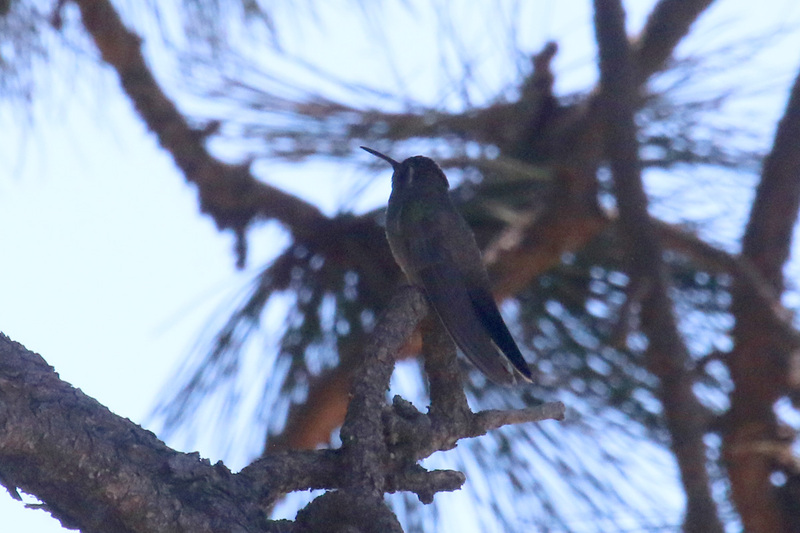 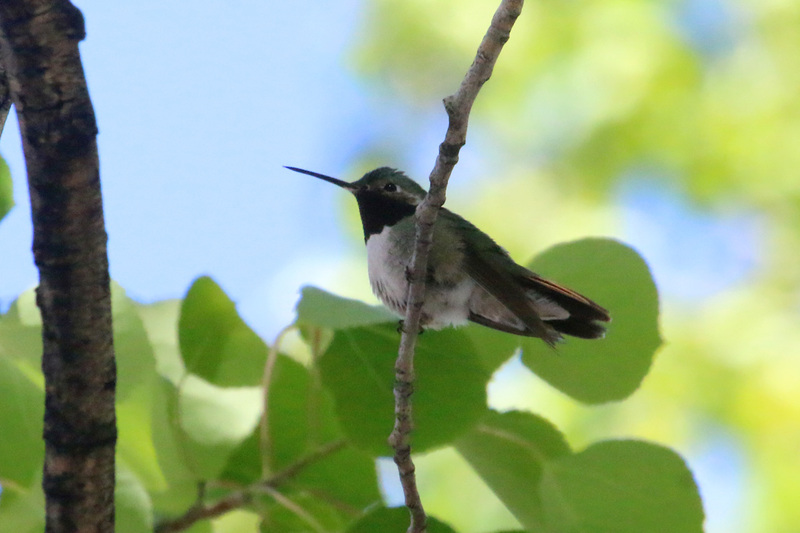 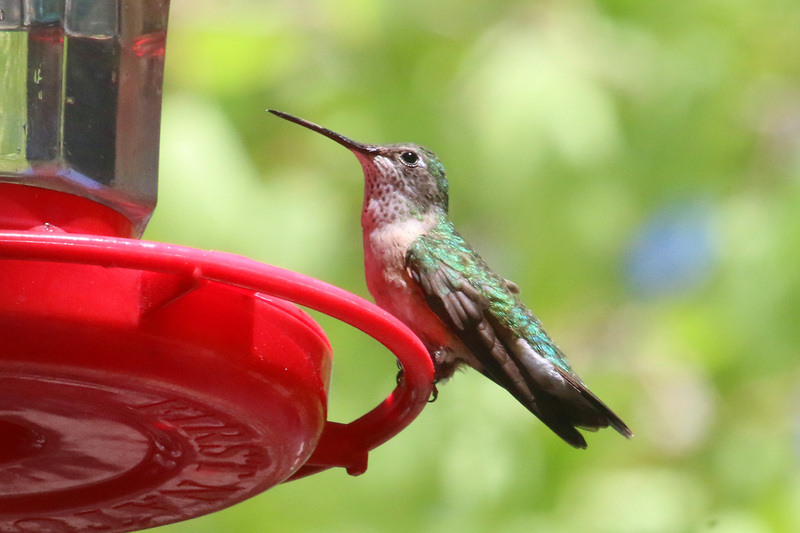 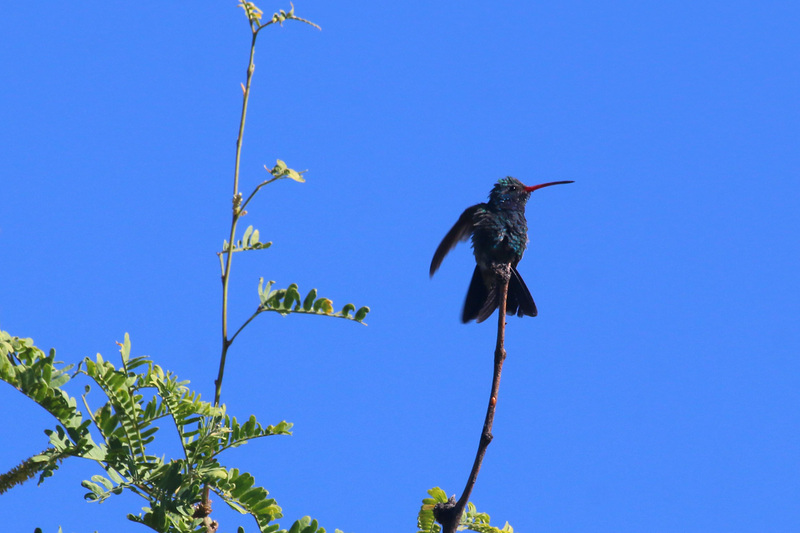 A quick stop at the Iron Door Restaurant gave us good views of MAGNIFICENT and BROAD-TAILED HUMMINGBIRDS, RED-FACED WARBLER, and YELLOW-EYED JUNCO. 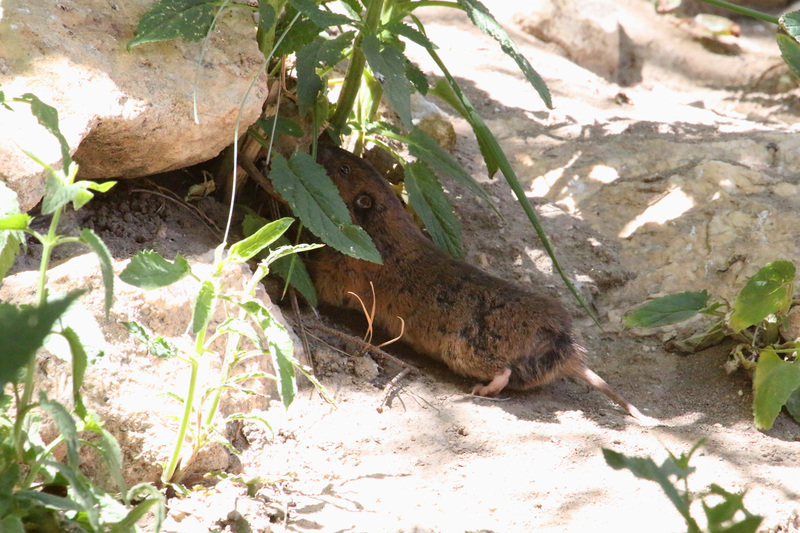 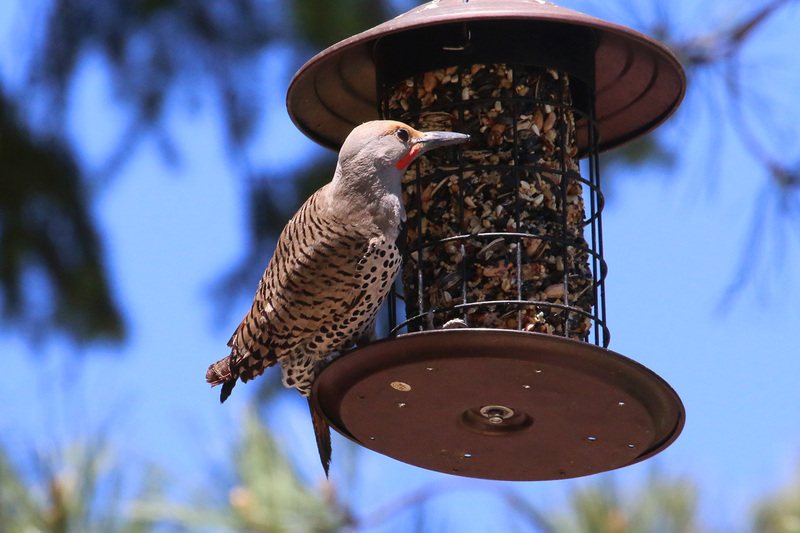 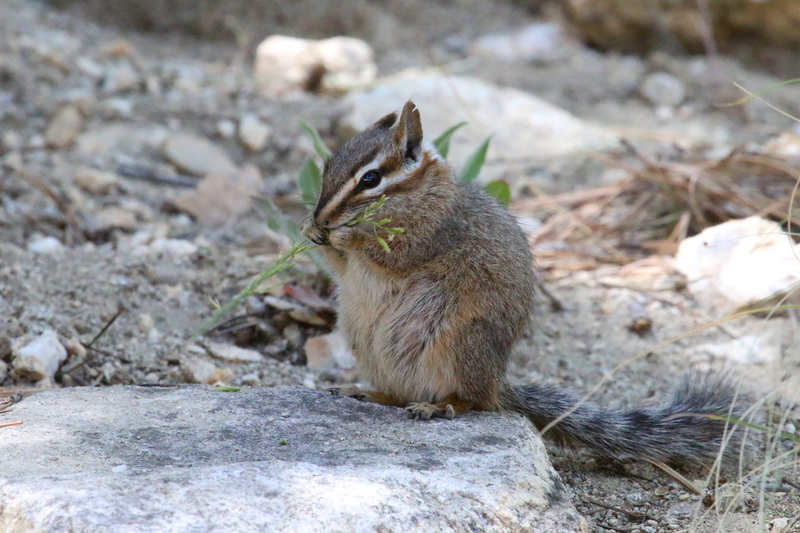 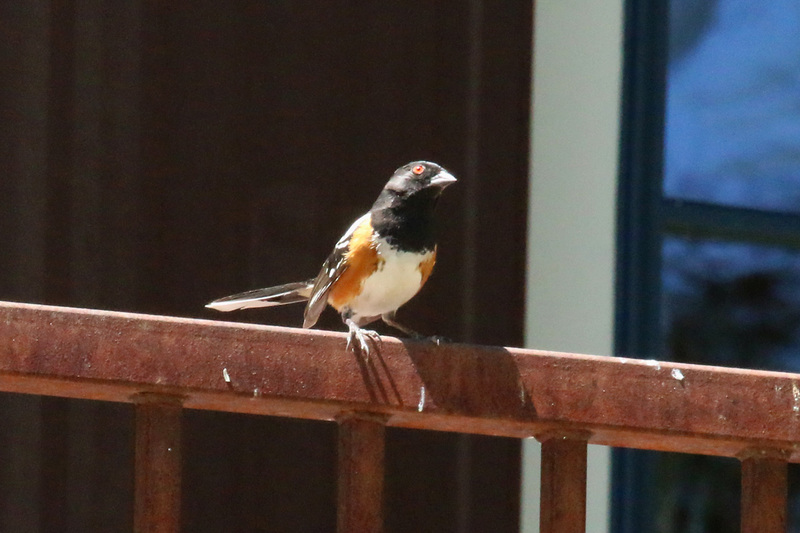 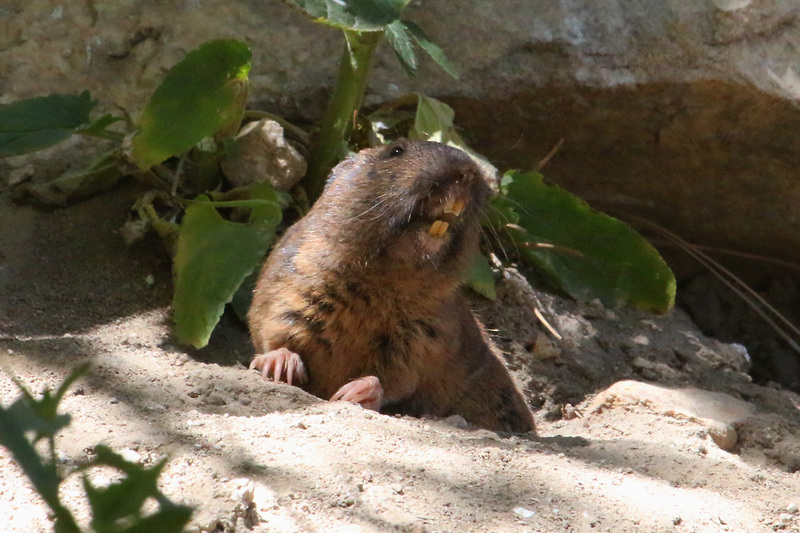 The feeders outside the realty office produced NORTHERN FLICKER, SPOTTED TOWHEE, YELLOW-EYED JUNCO, BLACK-HEADED GROSBEAK, and PINE SISKIN, as well as the obligatory CLIFF CHIPMUNK and an unusually showy BOTTA’S POCKET GOPHER. 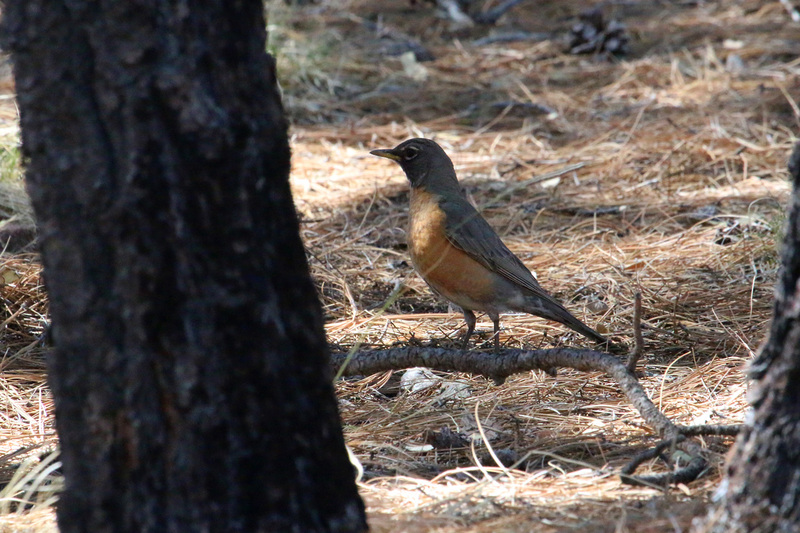 The male OLIVE WARBLER continues singing near the parking lot, and we also found WESTERN BLUEBIRD and AMERICAN ROBIN to end a fine day.